Program: Rehabilitation of 74 apartments in two large three story buildings on Park Heights Avenue. 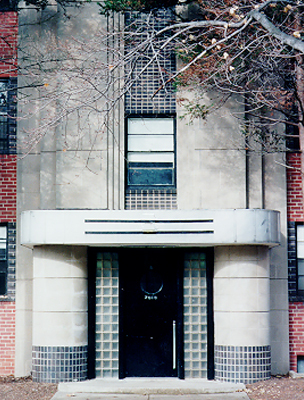 Design Approach:The apartment complex represents a unique example of fine Art Deco design. Units received a general upgrade including new HVAC systems and kitchens. A rental office and community room was added. 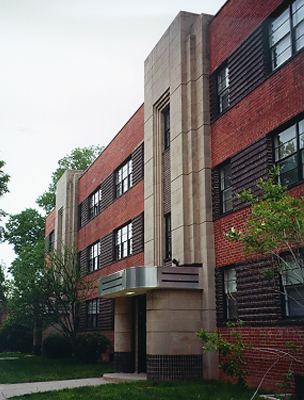 Steel windows, wood floors and entrance canopies were restored. Responsibilities:Services include site design, construction documents and construction administration. The project uses historic preservation tax credits and HUD funds and received a Baltimore Heritage Preservation Award.